Newton Taxi Services, Inc. Tel-770-787-9330. Open 24 / 7. Call the main line for fast response. Newton Taxi Services, Inc. is known by many people in the community as the most reliable taxi cab service that provides excellent service to the residents of Newton & Rockdale Georgia and the surrounding community. Newton Taxi Services, Inc. is open 24hrs and 7 days a week for local & long distance. 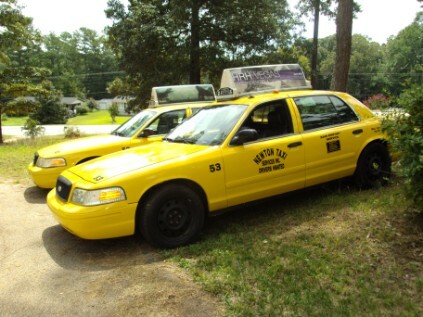 For faster service, call Newton Taxi directly at 770-787-9330. For faster response, please only call the main phone line. 24 hours a day. Newton Taxi Services. provides voucher program for repeat customers who intend to use our service at least twice a week. Call and speak to one of our associates and get the flexibility, and unrestricted access in any of our big yellow taxi cabs in Newton and Rockdale Georgia 24hrs and 7 days / week.